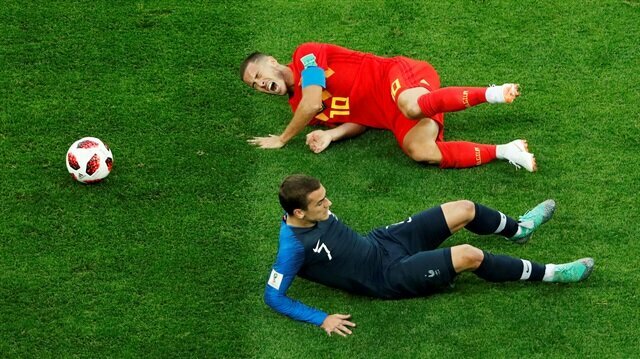 The Belgian prime minister told French President Emmanuel Macron on Wednesday that France had been very fortunate to beat Belgium and reach the World Cup final in Russia. Welcoming fellow leaders including Macron and U.S. President Donald Trump to a summit of the NATO defence alliance in Brussels, premier Charles Michel said the Western bloc must go on setting aside differences to protect each other. Then he added: "Yesterday in Russia, Belgium played a great game against France. Belgians are generally not too chauvinist but frankly, Emmanuel, yesterday, the French team was very lucky. "Like in football, fair play and team spirit are what we need more than ever.". Macron attended the semi-final in St. Petersburg along with the Belgian king and saw France win 1-0 to earn a place in Sunday's final in Moscow against either England or Croatia.